Please note - you need to have a good internet connection since (unlike in V2), the entire I/Q data is being sent over the internet. This also limits how much visual bandwidth you are can see at any one time. SOME IMPORTANT WARNINGS IF YOU ARE ADDING YOUR OWN SDR! Once you are up and running - please go to http://www.sdr-radio.com/Software/Ver... and view your listing - if there is a yellow triangle, then you are not accessible outside your own firewall - attention is needed! Just because you can access it on your own LAN doesn't mean it's accessible via the internet!!! 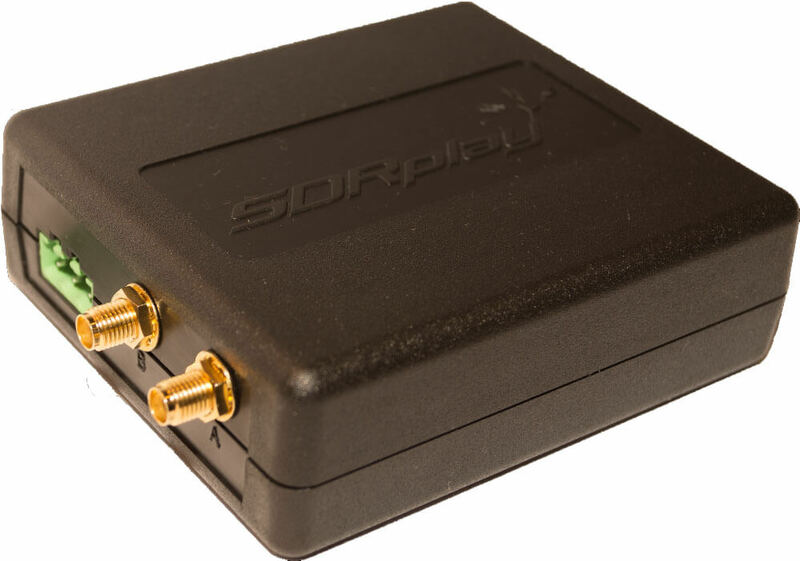 The RSP family of SDRs from SDRplay cover 1kHz to 2 GHz with no gaps and give up to 10MHz spectrum visibility. Jon's video first shows how to use SDR-Console V3 to access those publicly shared SDR radios over the internet. The second part of the video demonstrates how to set up your own server that you can use remotely for personal use, or to share over the internet. 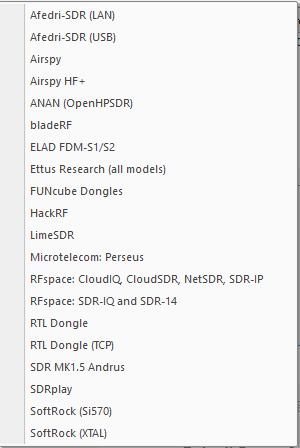 The SDR-Console V3 server accepts various kinds of SDR hardware including RTL-SDR, Airspy, SDRplay, HackRF, Elad, LimeSDR and many more SDR units so this is a good way to explore various types of hardware, or simply to explore signals from different areas around the world. Recently the SDR# team have updated the algorithm on the noise reduction plugins used in SDR#. 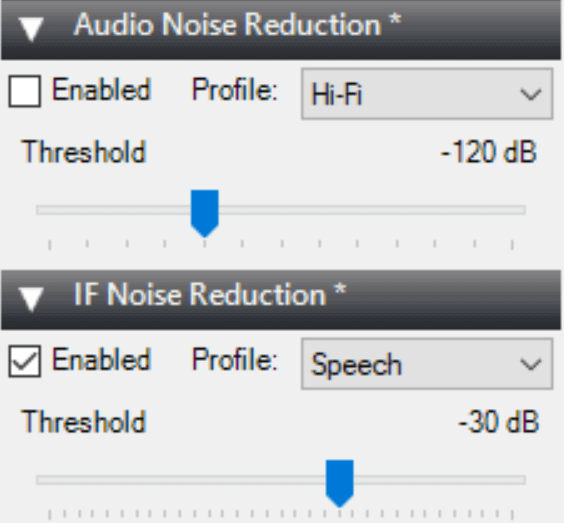 It appears that both the IF and Audio noise reduction plugins were updated with a better smoothing algorithm. We briefly tested the new algorithm and compared it against an older version. The new algorithm has noticeably less hiss and is slightly clearer when compared at the same noise reduction level. We tested with the same threshold levels and using the speech profile. At the same time we've also seen news that Simon of SDR-Console is working on another noise reduction algorithm based on deep neural networks in the latest private beta version. A video of it in action was posted by Paul J in the SDRplay users group (note that you will need a Facebook account and will probably need to be a member of the SDRplay group to view that video). The algorithm seems to be based on the RNNoise paper that was posted here. The SDR# algorithm was also tweaked based on information gained from that paper although it doesn't use neural networks directly. 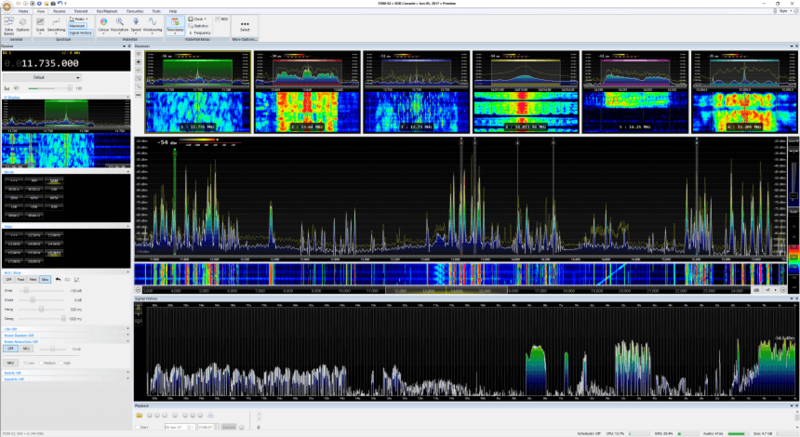 Simon Brown who is the author of the popular SDR-Console V2/V3 software has received an early review version of the Airspy HF+ and has uploaded some screenshots comparing it with the RFSpace NetSDR. The NetSDR is a high performance 16-bit DDC SDR with frequency range of 10 KHz – 32 MHz, and a bandwidth of up to 1.6 MHz. The base price of the NetSDR is US $1449. 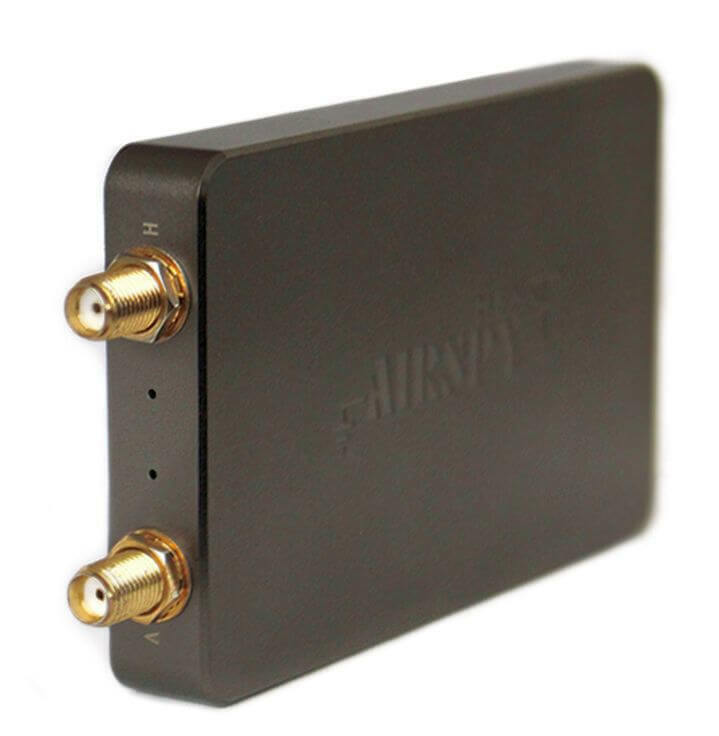 The Airspy HF+ on the other hand is based on a polyphase harmonic rejection mixer design with 18-bit DDC and has a frequency range of DC – 31 MHz and 60 – 260 MHz, with a maximum bandwidth of up to 660 kHZ. It is not yet released, but is expected to be about US $149 shipped from China. Simon’s screenshots show that despite its low cost the HF+ seems to perform just as well as the more expensive NetSDR. If you’re interested in the HF+ we also have our own review available here. New HF+ photo, with black metal enclosure. Over on his YouTube channel user Corrosive has uploaded a set of videos that show how to install and get started with an RTL-SDR or HackRF with SDR-Console V3. The video series starts from the very beginning with installing the drivers via zadig, and then goes on to show how to download, install and use SDR-Console V3. In one of his later videos Corrosive also shows how to optimally configure the settings in SDR-Console V3 and SDR# for optimal reception and viewing. For a while now I’ve been trying to find the frequency of my cell phone, looking frequencies up online and trying to find an app that would tell me my current frequency. None of these things seem to work and scanning the band manually I always came up dry because I wasn’t 100% sure where I needed to look. Further videos on his channel also show how to receive ADSB data with an RTL-SDR and Android phone, and how he repurposed a rabbit ears antenna into a V-dipole antenna for receiving Satcom pirates. Corrosive has done a good job putting out SDR and radio related videos over the past couple of weeks so it may be a channel to subscribe to if you are interested in this type of content. SDR-Console is a popular RTL-SDR compatible multi purpose SDR software package which is similar to programs like SDR#, HDSDR and SDRuno. Currently SDR-Console V2 is the stable version and SDR-Console V3 is in a beta state. A few days ago SDR-Console V3 Preview 6 was released. It comes with some very interesting new features including a built in Airspy server, a recording scheduler, a new feature called signal history and a new receivers pane. In addition Nils has also uploaded a very useful 19 page PDF where he writes step by step instructions and shows numerous examples of the new signal history tool. 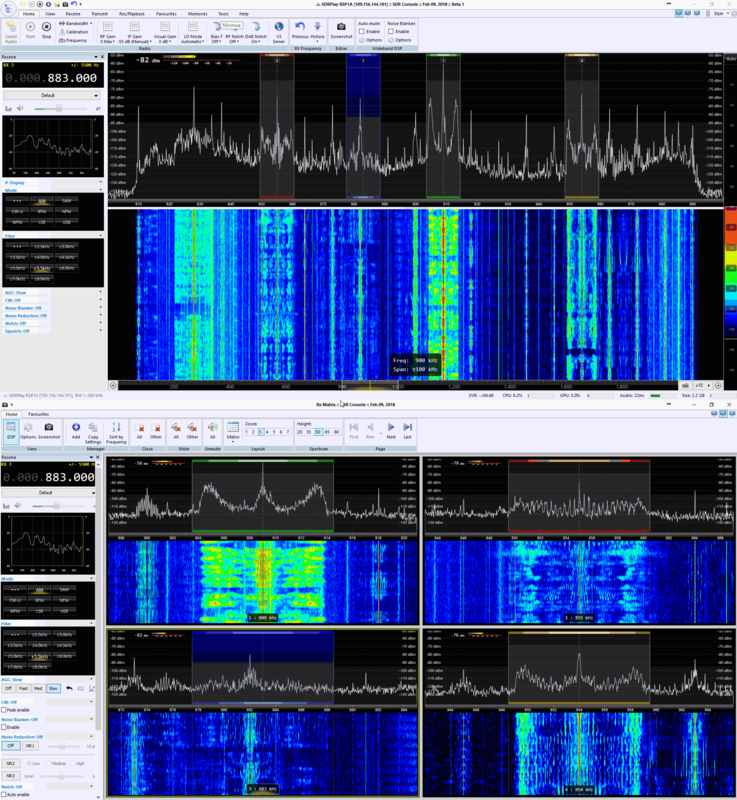 DK8OK’s SDR-Console V3 P6 Screenshot. Showing multiple receiver panes and the new signal history feature. DK8OK’s screenshot of the signal history toolbox. The RSP2 now supports its native SDRUno software, HDSDR through an extIO module, CubicSDR and now SDR-Console V3. YouTube user k2nccvids has posted a video showing him decoding and plotting both AIS channels simultaneously on a Windows PC with free software. To do this he uses SDR Console and two AISMon instances. 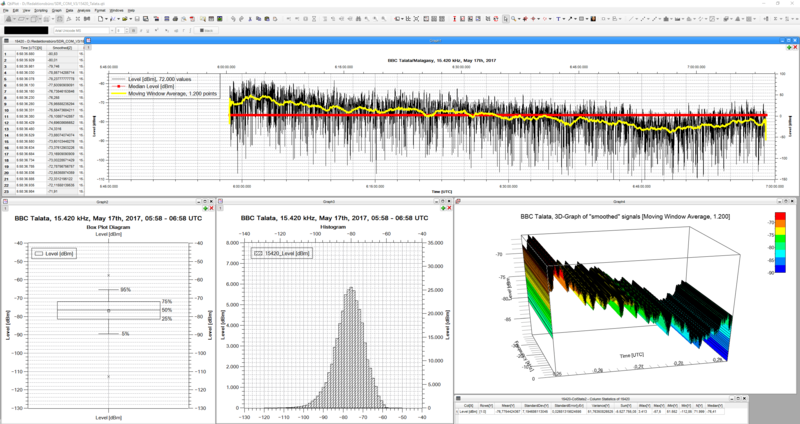 SDR Console is a general purpose SDR GUI that supports the RTL-SDR. One of it’s major advantages over other SDR software is that it can tune to multiple signals in the same swath of tuned bandwidth simultaneously and output their audio to different virtual audio cables. k2nccvids used two AISMon instances, each one connected to a separate virtual audio cable outputting AIS audio from SDR Console. He set AISMon to output decoded UDP packets on two different ports. Then he created two UDP listeners in OpenCPN for plotting, one for each port.